12/14/14: New LA Times Letters to Editor! 10/12/14: 3 new Letters to Editor! 12/15/13: 2 new letters to Chronicle. They must really like my rants, or (more likely) they don't have a lot of writers. 9/02/13: Almost a year delayed, but last year's Italy Pass backpacking trip. 6/11/12: Finally finished Europe page. 4/18/12: A couple new letters to the SF Examiner published recently. 5/25/11: Long delayed addition of August 2011 Mammoth to Yosemite backpack trip. 5/13/11: Cleaned up NWTrek page, added pages for short Yo trip and Pt. Reyes Hike pics, new shameful song liked. 8/29/10: Finished up Utah 4x4 Trip log. 8/8/10: Cleaned up main page a bit; created excerpt page for good lines. 8/8/10: Up through day 5 for Utah 4x4 trip log. 7/19/10: Been a while, but adding a new story to SF Sleaze page. 2/09/10: Partially completed wix version of NZ trip photo log. 10/21/09: Sequoia Mineral King Backpacking trip page up. 10/18/09: Panama Trip from June, finally up. 9/29/09: A short trip pictorial of 2 night camping along 108 in the Stanislaus Forest. 7/07/09: Put conference call hold music and lyrics I wrote at prior job on main page, "Cool Stuff" section. 7/07/09: Uploaded audio commentary for Argentina trip report. 7/07/09: Finished Utah camping trip log mentioned below; changed up main page picture. 6/14/09: Started to post Grand Staircase Escalanted National Monument camping trip log. 05/23/09: Post-employment site cleanup underway: Megatrip, and other trip pages and other pages starting to clean up, fixing margins. 01/10/09: Added a bad song by Daisy Duke to my side dishes page. 12/28/08: All Argentina pics and brief commentary now up. 12/09/08: Argentina Trip Page initial posting has begun! 06/08/08: New musing after long layoff! 06/08/08: Updated bad smells minimusing. 05/26/08: Added a new item to my proudest achievements list. 03/27/08: Added a few item to the shameful songs page. 11/12/07: Finished up posting trip pics from 10/27 initiation. 10/27/07: Started to post pics and some commentary on July/August backpacking trip. Added some Twain Quotes. Moved around some quotes on front page. 9/03/07: Put 3 new letters published in examiner, PDF files now. 12/05/06: Day 11, NWtrek completed. 11/25/06: Day 10, NWtrek completed. I've not been in a web posting mood lately, but hope to finish the rest of the days shortly. 8/31/06: BofA Bomb Threat Checklist, in Photos. 8/20/06: Added to sadness section, a trouble ticket for a phone problem at work. 8/17/06: Started Ensenda page from April 2006 trip, in Photos section on main page. 8/17/06: Completed through day 6 of NWtrek log. 7/23/06: Activated the NWTrek link on main page and started up travelogue. 7/17/06: Completion of Rae Lakes Loop travelogue. 7/11/06: Good Times wav added to main page Cool Stuff section. 7/10/06: Started a new line on the main section grid for Northwest/Canadian Trek and Rae Lakes Loop trip; put initial photos and commentary on the latter up. 7/08/06: Two new sleaze items added to bottom of page. 5/15/06: New item of sadness on main page. 5/9/06: Started conversion of Annoy Log to Blogger. After all old entries have been moved, will update link on site. 4/12/06: Fixed up a bunch of links and old page versions associated with the troublesome move from one server to another; put in new chat link on main page. 12/9/05: Finally finished up Redwoods trip log, added some annoyances and likes, put new picture on main page, audio clip from chronicle letter to film guy on examiner page. 11/3/05: A bit more added on the redwood trip, still more to go. 10/31/05: New page, proudest accomplishments in main grid; 600 Jackson Project moved down to food items. 10/5/05: New scum story on homeless alcoholics and their ambulance trips. 9/14/05: Final installment of Yo trip log done with some outstanding shots from the final Yo falls hike. 8/17/05: New shame song by Herman's Hermits. 8/17/05: Penultimate Yosemite photo upload. 8/17/05: Pictures of some meat I cooked on front page in food section. 8/14/05: New song added to shame page. 8/11/05: Made some corrections to Shame songs page. Had incorrect information about Bandit songs and also added another due to popular demand from European surfers. 8/2/05: More Yo photos; credit card cache photo on main page. 7/30/05: Updated incorrect labeling of antelopes to elks in Yellowstone photos, courtesy webform feedback. 7/30/05: Added new examiner page containing letters to editor with photos of editorial pages. Activated link on main page in grid. 7/22/05: Examiner links in SF Sleaze page updated to my backup text files or link changed to SF Independent which still is active. 7/22/05: Examiner link to my letters to the editor no longer works; took out link on homepage and will photo actual paper copies I have saved somewhere soon. 7/22/05: Put initial set of photos and trip log from Yosemite trip up, link on first page in grid with Portland. 6/14/05: 600 Jackson Project is complete, due to my refusal to go to the last 2 places that I know will be bad. 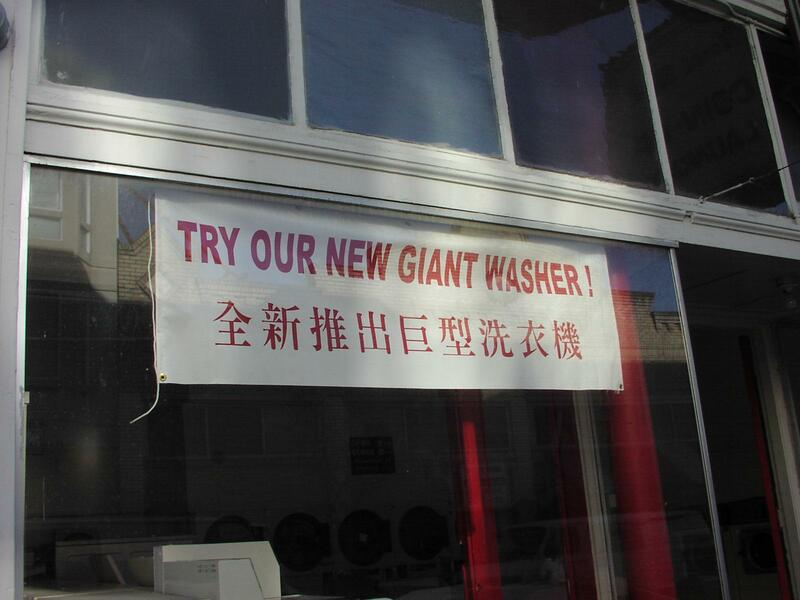 6/08/05: Put link to laundromat photo on home page. 6/08/05: Put link to a sad email I got at work recently on home page. 5/17/05: New quote on main page. New link for Twain quotes also. 5/12/05: Changed #7 in top 10 worst SF smells essay. 3/19/05: Sage advice from Hazzard Country denizen, Uncle Jesse. 2/15/05: The 600 Jackson Project is in progress, put in main page grid. 2/15/05: Put remainder of my 2005 New Years Vegas photos on main page. 2/15/05: Finally finished up documenting my Lassen trip from last October. Next on the agenda is the Moab trip from long ago where I only have pictures and no commentary. 2/10/05: Hit 100 annoyances today. Now will start a more positive list of little things that I like. 1/18/05: I've been saving up a torrent of annoyances so it deserves it's own update recognition on the home page. 14 input today. 1/2/05: Some additional vegas class photos from 2005 new years eve trip to $ onto main page. 12/25/04: Added Classy Raider Mom picture to Photo section on main page; made some minor main page fixes to spelling and links. 12/15/04: New Musing! On Constitutional Law! 11/17/04: Updated #10 in worst smell minimusing; minor miscellaneous changes to the list as well. 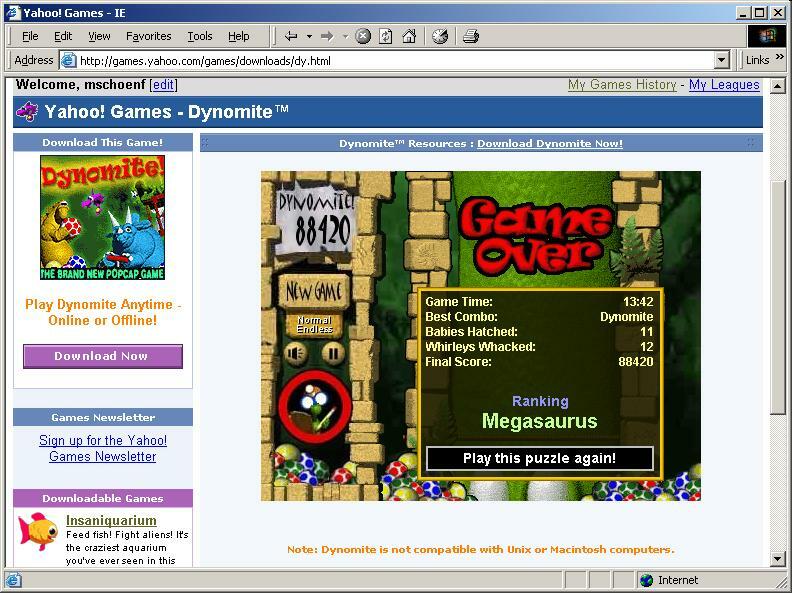 11/6/04: Put in main section grid a link to latest Dynomite high score jpg. 9/28/04: Added Max's pix with my commentary to Zion2 Trip page. 9/28/04: Added page on Sequoia trip to Trip Log section of home page. 9/19/04: On home page, added some nice dialog and theme song from movie "Truck Turner" to Cool Stuff section. 6/17/04: Updated Side Dishes / Sound Bytes page to remove bad links, added a view themes. 6/12/04: Megatrip page mostly done. 3/29/04: Snowshoe Trek 3 was a success. 12/24/03: Put beta version of 2003 Moab Trip up. 12/24/03: New minimusing on getting old, not my best work, but ok.
12/24/03: Added a few new sleaze items of the SF Sleaze page. 9/11/03: 2nd and final wave of Yellowstone pics done. 6/3/03: New Musing on craps, the casino game. 6/3/03: Added 4th SF Sleaze story. 3/31/03: Added 3rd SF Sleaze story. 01/20/03: New Twain quote on opening page. 8/25/02: Tourist photos from new digital camera. 8/20/02: New minimusing on Gum. 8/19/02: New minimusing detailing some poor planning on my part. 6/22/02: Changed quote on opening page; added some Twain quotes and redesigned Twain page for easier viewing. 6/8/02: Converted all files hosted on Pac Bell to Earthlink. 6/8/02: To "Sad Job", added 2 more voice mails and a bad email to appendix. 5/20/02: Added minimusing on Oakland. 2/04/02: New mm on The Lottery; Updated place details for Le Cheval and Quizno's; starting to reorder What's New. 01/15/02: Twain quotes from Hawaii link on Twain page. 01/15/02: WSJ Editorial relating to Discrimination essay on Musings page. 12/25/01: Added some more Twain stuff. 12/25/01: Caught up on some place details for the food chart.10/7/01: Added Twain link to front quote. 12/12/01: Fixed dead links related to Eric's First Fries on Mc list; removed onion link to Mc article as it is not there anymore. 12/12/01: Added another Twain quote on travel. 11/17/01: Added another Twain quote on camels. 10/7/01: Added link to Forbes story on nothing workers relating to Nothing Essay. 10/7/01: Redesigned food chart Places Details for easier reading and put some more information in. 9/22/01: Redesigned front page slightly to make food chart more accessible. 9/22/01: Put related NYT article to Discrimination essay in Musings. 9/16/01: On Musings page, added scan of Garrison Keillor essay related to work essay. 8/29/01: Added great quote from Mark Twain novel to Money for Nothing Essay. 8/12/01: Placed some more audio treats on sounds page, a Mr. Chau's commercial and Danny Devito lines from "Romancing the Stone." 8/12/01: Made Joker's Wild theme softer. 8/8/01: Replaced #12 on list of what to do at work when bored with survey link. 7/26/01: Added some graphs to food chart. 7/26/01: Added scan of Roberto's menu, circa 1996, to front page. 7/26/01: Added two short writings of mine from 1993 to manifesto/musings page, though not really in the spirit of the other items. 7/8/01: Replaced ICQ as alternate server after the bums at Geocities rudely canceled my account, but everything seems working again. 7/7/01: Placed "Bud Bundy" rap song on Shame page. 7/7/01: Changed title of "Musings" page to "Manifestos and Musings" to more accurately reflect the writings, plus other minor intro statement changes. 7/1/01: Completed essay on doing nothing-work, now in musings section. 7/1/01: Fixed problem requiring right-clicking for geocities-housed image files on front page, though small ad now appears. Regular clicking now works, but right clicking still needed for sound files on other pages. 7/1/01: Added side view photo of Tiajuna Car with me in background. 7/1/01: Put note warning people that the joker's wild theme song is louder than normal. 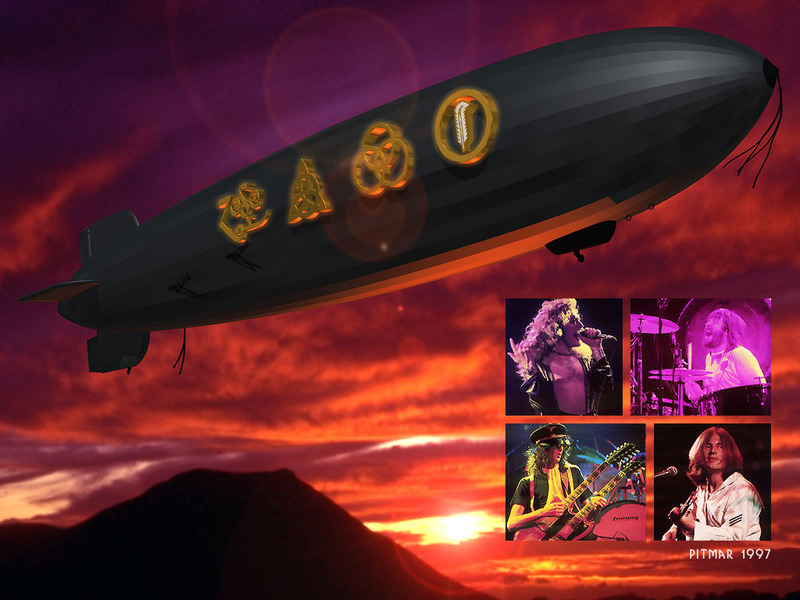 7/1/01: Put awesome Led Zeppelin jpg to be used as wallpaper of front page. 6/24/01: Scanned in OJ lawsuit letter. 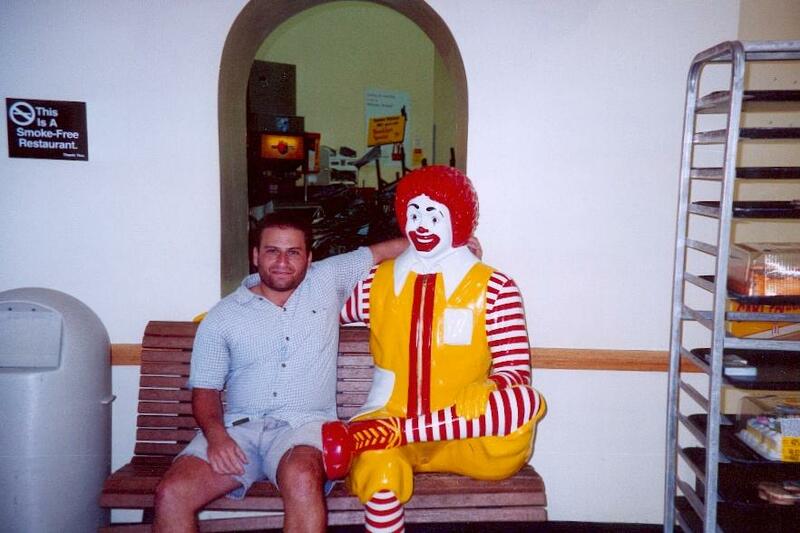 6/24/01: Scanned in photo of French film guy. 6/24/01: Scanned in funny "Meat Now" cat food ad. 6/22/01: Added food chart of my lunch eating in Oakland to main page. 6/22/01: Added pix of nasty flyer hat with sweat residue to main page. 6/22/01: Deleted main MP3 page due to universal access to MP3s which makes it no longer needed, but put link to shameful song page on front page. 6/22/01: Major overhaul of dessert page with new top 12 list, added links. 6/22/01: Added Black Knight 2000 pinball theme song, picture, and link to Side Dishes page. Also 2 versions of CHiPs theme songs. 6/22/01: Changed Greenspan's quote a tad. 10/28/00: Added Roberto's News to front page. 10/28/00: Added McBarge Photo to front page. 10/28/00: Added Phone Bill scans detailing former roommate sadness. 10/28/00: Added Carne Asada Nachos and Surf N' Turf Burrito Photo. 10/28/00: Added Photo of Tiajuna abandoned car. 5/21/00: Put Mr. Greenspan on front page. Changed location of files due to change from ATT Worldnet to Pac Bell ISP, which resulted in some problems still being worked out. 10/16/99: Added JPG of niece to home page. 10/16/99: Added JPGs of this guy from Tiajuna from whom I purchased a keychain from in 1997. 9/25/99: Added some articles demonstrating a fight between the French and the Mc to the bottom of the Top Ten Lists. 9/25/99: Added a 12th item to the Mc list, resulting from an ad I saw today on TV and was repulsive enough to receive its own entry. 9/25/99: Added my MP3 list to Main Course for anyone to request a personal sending of a song that I have. 9/25/99: Added new paper to Musings page, Easy Foul Balls: The Spoiling of a Generation. 9/25/99: Added quote from "War Games" to side dish page. 7/17/99: Added "What's New" link to opening page. 7/17/99: Added a special bonus Frenchman quote to Dessert page, France Top 11 list.